Thailand is a beautiful and diverse country that is hard not to fall in love with and if you are looking for tropical beaches that are as welcoming as the Thai people themselves then head for Southern Thailand and start your island hopping adventure. The main airport is Bangkok, which is also their capital city and is a huge, bustling metropolis where skyrise building meet boat markets and street food stalls galore. From Bangkok you can either fly to the South of Thailand if you have the budget, or for those wanting to save their Baht (the Thai currency) there are many buses from Bangkok that will drive you down to the South ready to hop on a boat to paradise. Bus journeys are long and journey time obviously varies depending on where you want to head for in Southern Thailand, but Thailand is well practised at tourism and you’ll usually find an air conditioned bus with plenty of space and sometimes a toilet if you are lucky. There are many islands to choose from, some bigger busy islands which have all you could wish for including huge supermarkets and cinemas, and other tiny little islands with a few simple bungalows and miles of white sand. You’ll probably be best to start on the East/West coast and then make your way around to the other side so that you don’t waste precious time constantly travelling overland. Below we’ve picked some of our favourites in a suggested route that would work well. 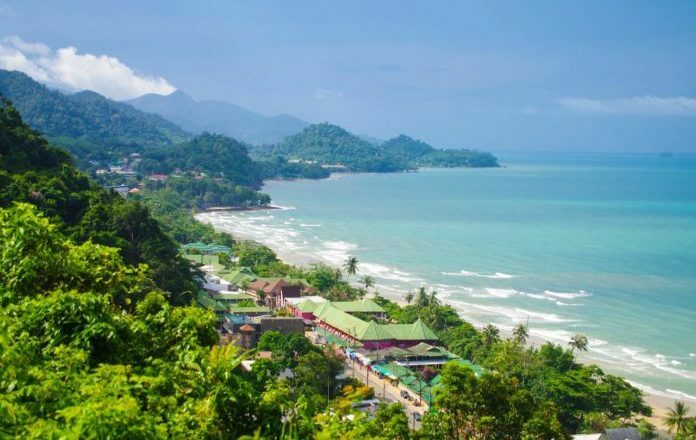 Koh Chang is one of the closest islands to Bangkok and can be easily reached on a bus which will take you to the ferry port ready to jump on your boat over and begin island life. Koh Chang is a relatively busy island in some parts but there are certainly still quieter sides to the island and you’ll find it a great place to start your adventure since you’ll still find little luxuries from home mixed with island life. 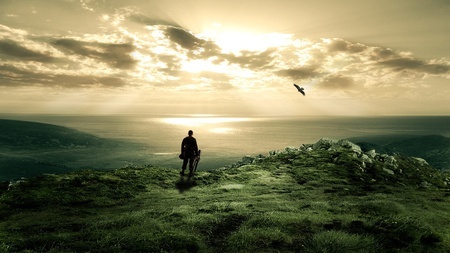 The middle of the island is covered in dense jungle and roads that are good in places and terrible in others. Many people hire out bikes and go exploring which is a great way to get around as long as you are careful with it. You’ll see so many people (mainly youngsters which is a huge stereotype I agree, but quite an accurate one!) with burns and grazes where they’ve come off their bikes. 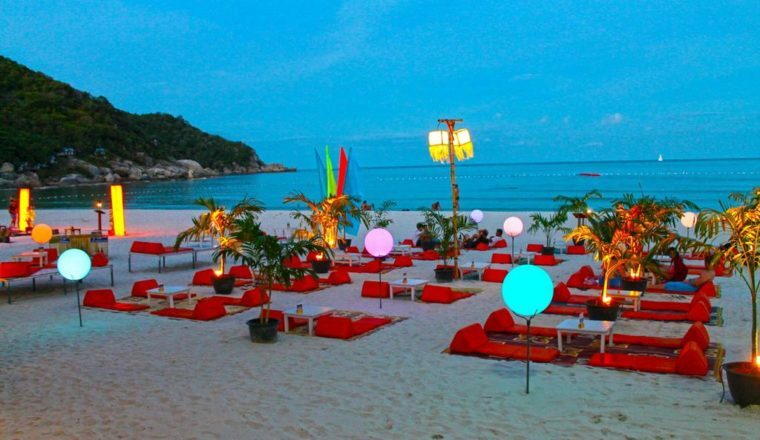 If you want a beautiful beach that has a good sprinkling of guest houses, eateries and places to enjoy a few drinks as the sun goes down then head for Ta Nam Beach, also known as Lonely Beach. From Koh Chang be sure to take a ferry and grab yourself at least a few days in the super chilled out, peaceful island of Koh Mak. 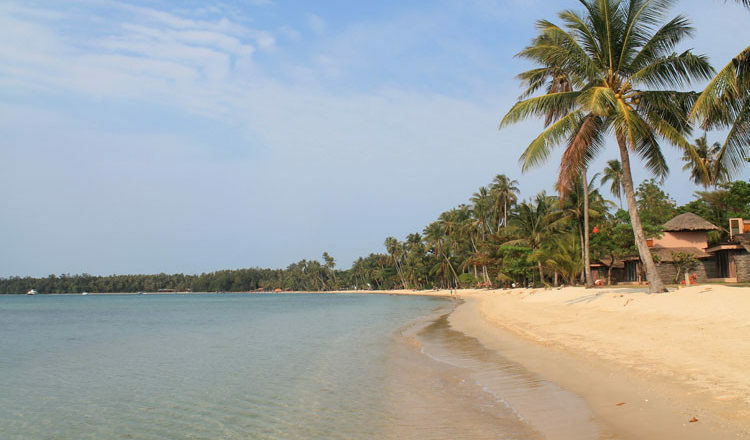 Now you’re getting your grips on island life you’ll be ready to experience it in a super laid back way, and Koh Mak is exactly that. A small island with a handful of guest houses and a small ‘village’ area with a couple of places to eat and drink, this places is paradise. The water is so incredibly blue and clear you will want to bathe in it for days. The ocean is calm and is perfect for families too. Since it is pretty quiet here you will find some local wildlife such as sand flies and large spiders, so bring your mossie spray and grab some coils to burn that are sold all over Thailand that repel the bugs. 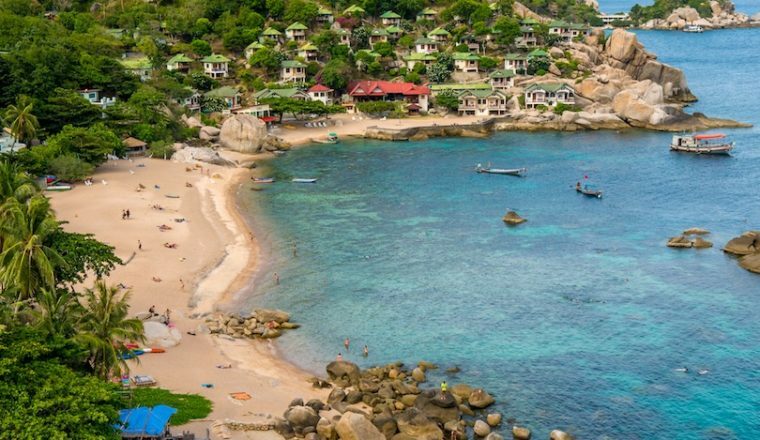 Heading further down the East coast of Southern Thailand you’ll find a group of three of the most famous island, Koh Samui, Koh Phangan and Koh Tao. From Koh Mak you’ll need to head back to the main land and catch a bus down to the ferry ports. 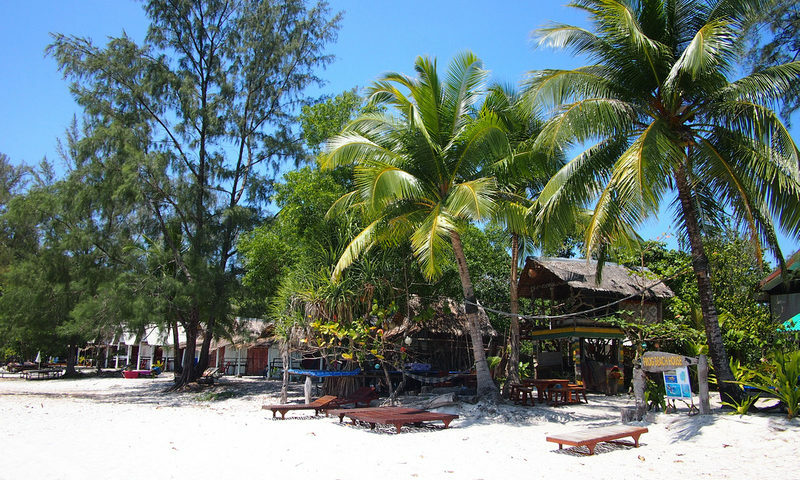 Koh Tao is a little gem of an island, quieter than Koh Chang but still with lots going on, this is one of the best places to go diving and you’ll find a few diving schools there if you want to do your PADI course. There are heaps of reasonably priced accomodations and the island is beautiful to explore. The main area to stay is on the West side of the island, but if you fancy getting away from it all there are places dotted all over. From Koh Tao head for the legendary Koh Phangan, home of the original full moon party, and this island still knows how to do it! 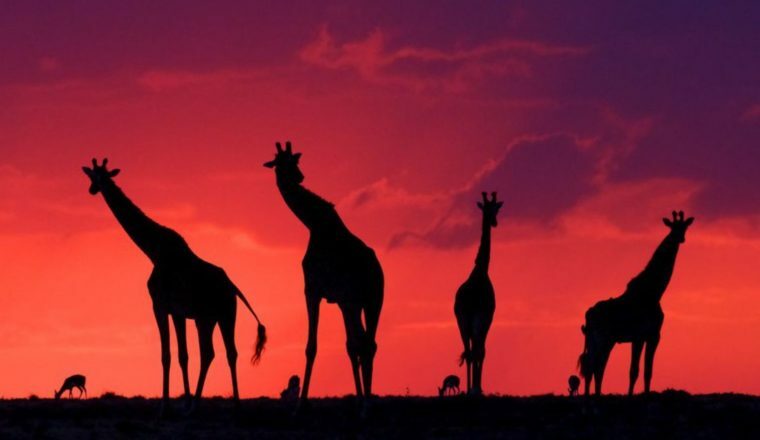 With jungle parties, half moon parties, black moon parties and many more you can enjoy yourself to the fullest here. But step away from the busy bohemian party scenes on the south of the island and you’ll find much, much more to this tropical paradise. If you head North up the island you’ll find gorgeous little villages that are a lot quieter and more chilled out, some dotted with luxury hotels if that’s your thing. You can get up to the North on a moped but some of the roads are steep and are not great, so if you aren’t fully confident then try and get a driver to take you up that way. There are also some lovely waterfalls to visit on Koh Phangan if you do have your own transport. 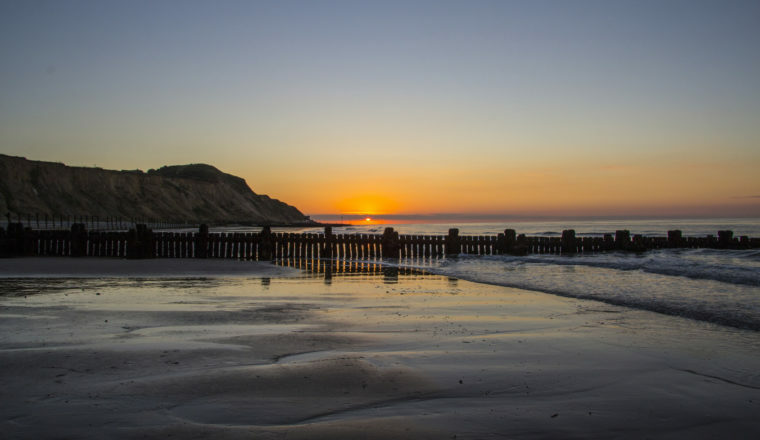 A highlight for a sunset beer has to be the Amsterdam Bar on West of the island that offers breathtaking views of the sunset from a platform laid out with cosy cushions, chilled out reggae vibes and a bar of course. From here we head back to the mainland and jump on a bus to the Western side of Southern Thailand. 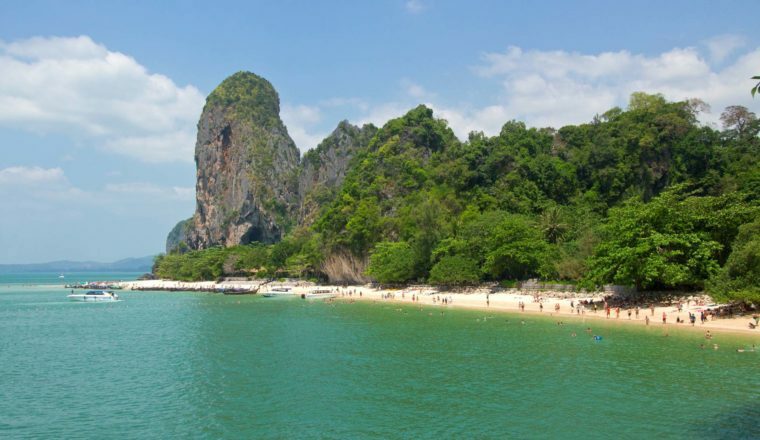 Krabi is the main town and a great place to hop on a boat to the Western islands from. An absolute must see if Rai Leh, a small peninsula between Krabi and Ao Nang accessible only by boat. Expect to have to hop off your bigger boat onto a small boat which takes you right up to the land. Ao Nang beach is incredible, with limestone cliffs jutting from the ocean it’s a climbers paradise and an insanely beautiful spot to relax. 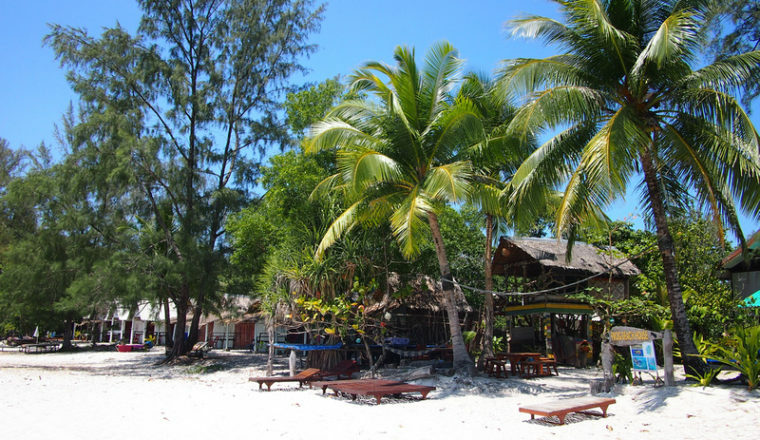 Backpackers tend to stay at Ton Sai beach which has its own small hippy style ‘village’ and runs on the chilled out ‘Ton Sai time’ as many people call it, time gets lost here as days of chilled out bliss run into each other. Finally make the journey by bus (or plane since there is a small airport here) to Ranong ready to catch a boat over to Koh Phayam. Koh Phayam is a true gem of Thailand, with no real roads and a real hippy vibe, this place has the feel of what Thailand would have been like years ago. Locals mix with expats who have given up the rat race and emigrated over there and there is an eclectic mix of eateries, guest houses and gorgeous beach bars. Highlights include the hippy bar, a wooden structure built by a resident that is one of the coolest and most quirky bars in the whole of Thailand. When you finally tire of island life (never?) and decide to head off then you can get a bus back to Bangkok, a long journey of around ten hours, or you can fly if you have any Baht left in your bag. Enjoy Thailand’s islands, you’re in for an absolute treat.